Jon Jones and Alexander Gustafsson put on one of the greatest title fights in UFC history back in 2013. Jones took a unanimous decision win over “The Mauler” at UFC 165 to retain his light heavyweight title. However, many believe that Gustafsson got a raw deal in regards to the judges’ scorecards. For years the Swede was calling for a rematch with Jones, to prove he has what it takes to beat him. He got that opportunity this past weekend (Sat. December 29, 2018) in California. The winner of the contest was crowned the new light heavyweight champion of the world. Jones emerged victorious in a dominant performance, which saw the fight come to an end via third-round TKO. “Bones” got a takedown and established dominant position. After reigning down some vicious ground-and-pound, that was it for Gustafsson. 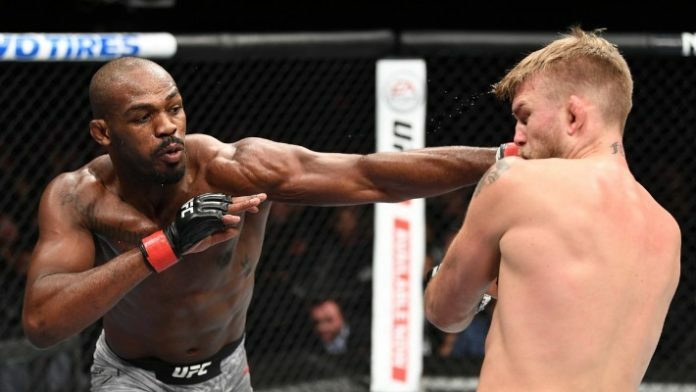 What do you think about what Jones and Gustafsson said to each other after UFC 232?